We’re in the middle of a significant change in how people use digital services. Use of mobile devices such as smartphones and tablets is exploding. People should be able to use digital services wherever they are, on the device of their choosing (see Design Principle No.7 Understand Context). Users now expect to be able to change the date of their driving test while on the bus, or pay their VAT while lying in bed. Here's how government services have been responding to mobile growth. To note for later: none of these examples are apps. 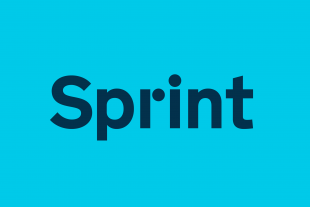 GOV.UK is a website that adapts to mobile screens In its final months, the separate mobile web version of Directgov was attracting around 10% of the visits to the standard site. 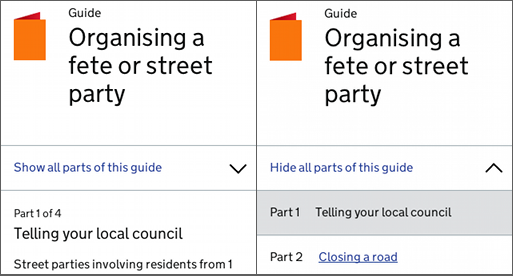 Both the standard and mobile versions of Directgov were replaced by GOV.UK in October 2012, which uses responsive design to adapt its layout to different screen sizes. 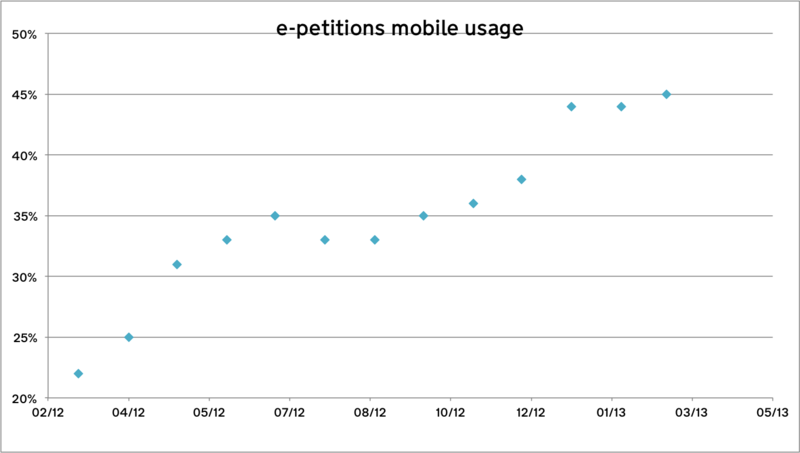 In the run up to Christmas, GOV.UK saw around 20% of visits from mobile devices. Since Christmas this has jumped to nearly 25% This change was also noted by the BBC. 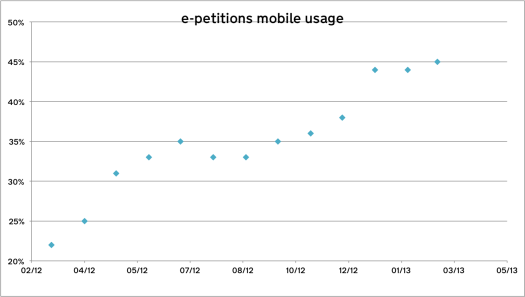 Nearly half of e-petitions visits are from mobile devices In March 2012, just over 20% of those visiting the HM Government e-petitions service were using a mobile device. In the spring of 2012 its design was made responsive. The graph below shows the trend since then. It's now over 45% mobile. You can now book your driving test on the bus Meanwhile, up in Nottingham, the Driving Standards Agency has just redesigned its practical driving test booking service. Results? Over 23% of those booking and 27% of those changing practical driving test bookings are now doing so from a mobile device. (Overnight it hits nearly 60% - hypotheses welcome!) Booking your driving test is not a trivial process. Users have to choose a date, a venue and give contact details and the like. Yet give people a decent mobile-optimised experience, and they’ll lap it up on their smartphones or tablets. If you want to learn more about DSA's test booking redesign, I suggest you follow @johnploughman - he's an excellent source of knowledge and happy to share. Since November 2012, central government departments and agencies have to get approval from Cabinet Office before starting work on apps. For government services, we believe the benefits of developing and maintaining apps will very rarely justify their costs, especially if the underlying service design is sub-optimal. Departments should focus on improving the quality of the core web service. 1. Is our web service already designed to be responsive to different screen sizes? If not, why not? 2. What is the user need that only a native/hybrid app can meet? 3. Are there existing native/hybrid apps which already meet this user need? 4.. Is our service available to 3rd parties via an API or open data? If not, why not? 5. Does meeting this need justify the lifetime cost of a native or hybrid app? Overall this sounds like a reasonable and pragmatic approach so kudos. I'm guessing you don't see responsive design as the silver bullet here though. Use cases vary by device and user journeys often involve multiple devices. Reorganising the look and feel of a site is just a start in optimising services for users, do you have any thoughts on device specific UIs? Personally I prefer mobile friendly websites over apps, at least for governmental services. There is no need for a fancy app for services, the mainstream user is only using every once in a while. Therefore the choice of responsive, mobile friendly websites is the way forward. Sorry for typos. Also meant to finish by lamenting this as it was awfully costly getting dedicated native devs and we didn't stretch too far beyond what html5 could acheive. JD's right to an extent. Some users are nearly hardwired to checking the app store first. So if there's competition you need to be there that's half the reason why the BBC did it's Olympics (and most news, weather, radio, sport) apps in addition to very comprehensive mobile website. Just to be there on search. One thing that native also brings you is device sensors, camera etc. better than html5 does and native notifications. Again at the beed we had to build a generic android media player to enable our tv and radii streams. I wonder if there could be a generic Gov Services app with a nice API that could be commandeered by a plethora of Gov Services ? Probably true of government and public services. But in the US, most decidedly untrue on the whole. Native apps (nearly a million in the iTunes Store and Google Play) outpace web apps by a considerable margin, when you have something that people want to use and participate in. So it's not really a matter of web apps outpacing native apps. It's a matter of use case. Go build whatever makes sense for your user base. Couldn't agree with you more JD. See my comments above. Nice post Tom but you need to correct something on the slide deck. Hybrid Apps don't necessarily need to be built for each platform or device, where content is delivered to multiple platforms at the same time, rendering code is all that is needed for different devices. Plus if someone builds an App just to replicate what's on a website there can be little value to the organisation. It needs to deliver something engaging to drive revenue, reduce manual process etc. I like this blog, very interesting in terms of HTML 5 vs native apps. Bit of a pity that we proposed just that to a Government department and got bounced at the first review because we didn't propose a native app (something about wifi in the Houses of Parliament)? Yes brilliant to have something ‘official’ to point to on a issue that is widely misunderstood by people commissioning digital services for the public sector. However, while it will be relatively easy to deal with the problem in government departments in the ways described, GDS cannot impose its rules across the rest of the public sector. As a supplier of digital services, Boilerhouse is seeing requests for ‘apps’ appearing in local government or health service tenders where what this means, and the associated cost/benefit, is so clearly misunderstood. This is fine in a situation where you can actually talk to the end client before putting in a bid, but in so many of these situations procurement is driving everything and the course is set. What’s the solution? It has to be a huge effort to communicate the GDS message to commissioners of digital services across the public sector. And that’s a massive challenge, because the audience spans communications, IT, and service delivery managers, all of whom have different levels of knowledge and understanding in this area. My own view is that this approach effectively banning apps discriminates against smartphone users. It is also not proportionate in its application and denies innovation and efficiency. Not allowing development is also distorting competition. Yes rampant app development in government will be wasteful of resources as a number of needless ones will be developed. But there is a category of apps which allow access to account details and can enable payment for fines, income tax, CTax and rents which have been effectively stopped. The new inland revenue system for income tax payments from employers is quite frankly beyond belief. The facility to make a bacs or PO payment has been stopped. So now we have to send a cheque to Bradford with a paper payin slip. Has anyone calculated the cost to the revenue of the non payments let alone processing paper again? This is a clear area where an app would pay for itself and improve tax take. sounds as if someone has been too lean in their decision making. As the private sector will,take some risk in development, the cost and use of these apps will make this well worthwhile. The real barrier so far has been GCHQ which prefers mobile roaming on websites to a focused and targeted piece of software using G Cloud and Cat 1 RCI banking security to access specific fields on core databases. Indeed, due to design they can't roam and be used to navigate government systems and cracking that security is unlikely. Needless to say we have tried to develop one for CTax and rents but it went into the long grass. Don't Governments who do not follow the needs of the people inevitably change. It's nice to have some thing semi-official to back up what I have to keep telling very senior members of my organisation. The biggest issue i face is that there is such a bow wave created for "must have an App" that sometimes a lone voice pointing out that the website is already designed to work on any device gets lost in the chest beating. Luckily for me I'm of sufficiently low enough rank to tell them they are wrong. You tell 'em (people shouldn't be scared of providing an opinion, if done diplomatically)! Superb article and the correct position to take (protecting tax-payers from unnecessary waste). Mobile web is the place to start and native apps are rarely justified. Just one correction - if you have a good mobile website, which uses server-side responsiveness to get file sizes down for 3G, as well as RCSS, then it's a very quick and easy step to turn it into a hybrid app and place in the apps stores for extra discoverability. Only do this though when the service will be used more than once a year, i.e. renewing a single tax disc never needs to be a hybrid app, or native one, but other services might benefit from being a hybrid app (and occasionally a native one). I think it a wast of time to produce mobile app that only takes and receive information and do not need access to the mobile hardware. Only apps which uses hardware features or require heavy on device processing should require an mobile app written specially for OSes. Having multiple teams working on multiple versions of your software for multiple platforms is an expensive and probably wasteful way of generating competition in the work place. Personally I think you are simplifying the situation (whether deliberately or not) as a rallying call to get underlying web services and data open and available through public API's. I welcome that and support it. I can create apps precisely because there are web services and open data behind them which I can use. I wouldn't want people to infer from your slides that native apps = bad and htm5 = good. The reality from my perspective is that both have their place depending on what it is you are trying to achieve and it is right to point out to the public sector in general that open data and a core mobile web experience are prerequisites which need to be in great shape first. In building our own apps for the public sector it has been challenge enough to get good stable data which is clean enough and updated in a timely enough fashion to be useful. Some data sets are inexplicably not open data. Others are just not available. Yet others are not updated regularly or predictably. These are key things to get fixed and all that you are doing here is to be welcomed. I wanted to just add a few points which I think actually are completely in tune with the drive of your presentation but I fear they could easily be misunderstood by people not deeply familiar with the topic at hand. We are driven towards native user experiences and build hybrid apps for iOS, Android and BlackBerry for some of the very reasons you point our as negative. Our definition of hybrid app is not as narrow as yours however. Our apps are not just small apps that load a website although of course we rely upon web views and interaction among often several mashed up sources of information and capability. We see branded presence in mobile platform vendor app stores as a positive benefit and interaction point and not a gatekeeper. Curation of information on behalf of an organisation in a branded app can deliver some control over the message and some preservation of authenticity while delivering a quick, offline capable, rich experience. You are right to point out performance and snappiness and native control look and feel are generally better with native and hybrid apps. Our apps use native capabilities like the location, camera, phone call making, message creation, social interaction, maps on the device, etc. We are not building utility form filling in applets. We are building public engagement and workforce transformation apps. We also love responsive design and the steps government sites are taking to deliver mobile experiences better and where available and depending on the use case we would use a web view to such existing systems. This is especially good for forms so I can see that relevance for government. But native apps for our society have so much more potential than the last minute filling in of a TV licence or Speeding Ticket and do not deserve to be categorised in the same way. I just feel in making a rallying call for mobile web and calling for a moratorium on central government apps that there is a danger of stifling the development of third party apps in this area where there needs to be better support and assistance especially for micro SME's attempting to work with the public sector. Your blog post may inadvertently help provide a convenient excuse for people to avoid apps from third party developers altogether. Thanks for the comment Angus - you're right that I had no intention of making a sweeping generalisation that "native apps = bad and htm5 = good". It's horses for courses. For the UK government, given where we are today, the course is pretty clear. Refreshing to see the use of "digital by default" rather than "mobile first". Theres an interesting piece on todays BBC site about Evernote and HTML 5 vs native apps. Using the web language would have made it less time consuming to offer the software across so many platforms. It supports Windows Phone, Blackberry and LG's WebOS in addition to iOS and Android. But Mr Libin dismisses it as a "lowest common denominator" technology, adding that there are benefits to developing different versions of the app with slightly different sets of features. "If you make consistency a goal you achieve it through mediocrity," he exclaims. "You achieve consistency by making everything equally crappy. "We've always said, let's have independent teams that compete with each other to make the best version for each platform." He suggests this means his workers learn from each other's achievements ensuring the teams continually leapfrog each other. The downside: "It's much more expensive to develop that way," he admits. Personally, as budget is kind of important, I think the Gov.UK HTML 5 approach is the right approach for this application. It's not just about budget. Calling a website-based service "mediocre everywhere" assumes that you can do better for users with (a) an always-on presence on their phone/tablet, and (b) access to low-level platform features that you can't get through browser APIs. Typically this only applies if your service is used very frequently, or it depends on high-performance 3D graphics. Of course, if you have budget to spare, you can do both. Then your high-frequncy, highly engaged users can have an app... and everyone else can use it without cluttering up their phone. Not to mention that statistics show that many, many more users give up during signup & onboarding if you force them to install an app! I agree regarding when to use an app as opposed to web based. You mention "stats show that many more users give up during signup & onboarding if you force them to install an app" Do you have a link to any of these stats. Would be interesting to see. Sure - there's a great piece from Luke Wroblewski at http://www.lukew.com/ff/entry.asp?1678 . It's worth reading all the links, especially Vibhu Norby who quotes a figure that 50% of people who follow an app store link and install the app *never actually start the app*. Even LukeW's own app, Polar, which performed very well with signup/onboarding, loses significant numbers of potential users in this process. This is a great piece and it's not just civil servants but officers in local government too that should take heed. I wrote something very similar in November 2012 explaining why. A blog advocating digital accessibility on a platform with no mobile version, with text referencing a website but without a hyperlink to it. Bravo. This site doesn't even pass W3C validation, yet it's a government website, and therefore should comply to strict validation rules. Fair comment. 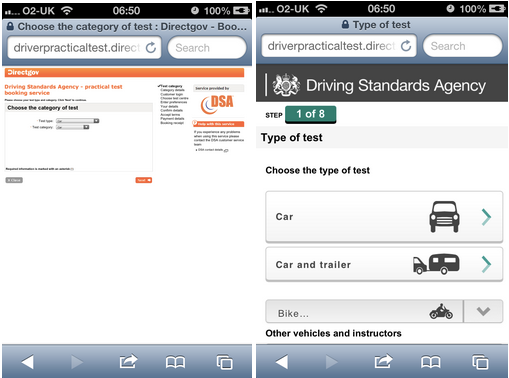 Have added the link to practical driving test. At <£50/year this wordpress.com blog has served us well to date, but we're sorting out a new blogging platform as part of GOV.UK which we'll migrate this blog to - and it'll be responsive. Strict validation because we're the government? We think it's more important that GOV.UK works for everyone than strictly validates. And a fair response! An interesting read, thanks. Very clear thinking. Validation is usually a good thing but for some services (and GOV.UK is one) inclusivity should take precedence over validated exclusivity. Of course this GOV.UK by it's nature is exclusive of the population without access to the internet but that's a different issue. Interesting that you don't mention what seems to me the most obvious reason not to have gov.uk apps - I don't spend most of my time interacting with the government. I'm not going to install your app and have it clutter up my phone, demand updates, etc, just to book my driving test (once or twice in a lifetime) or pay my VAT (once a year). This is exactly the kind of occasional use the Web is good for. Very good point... though there are a few high volume government services which do require daily or weekly interactions. Sure, and they're covered by your policy on "APIs for others to make apps" and "apps aren't flat-out banned, if there's a good case for them". But these (particularly the latter) must be relatively rare situations. Very true. I had a power cut the other day and went on the electricity providers website to find out about it. To find out about the status of power cuts I had to either call them up (fair enough!) or download an app off the Apple/Google app stores. I couldn't quite believe it.